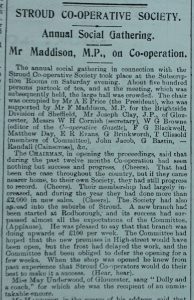 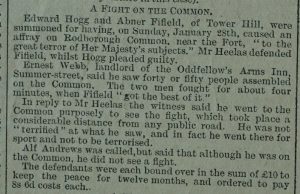 A fight on the Rodborough Common was witnessed by a huge crowd. 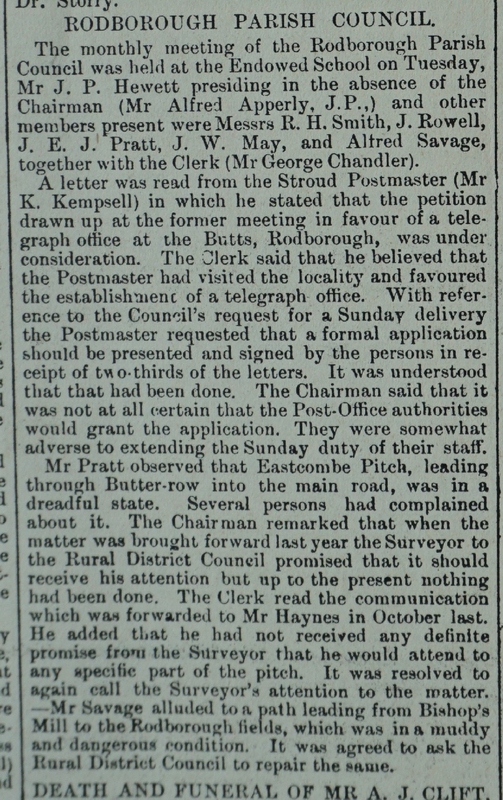 A telegraph office at The Butts was under consideration. 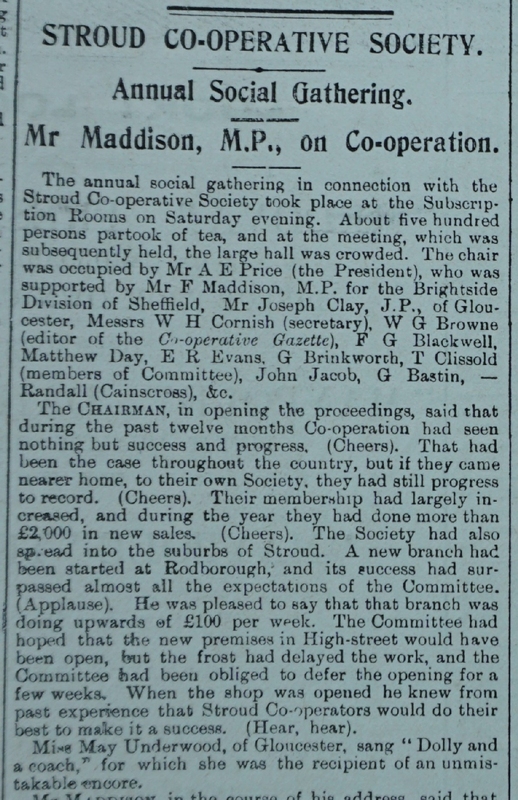 Concern was expressed at the dreadful state of Eastcombe Pitch through Butterrow and the path leading from Bishop’s Mill to Rodborough Fields. 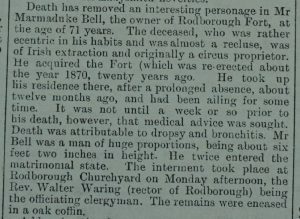 Death of the eccentric Marmaduke Bell of Rodborough Fort. 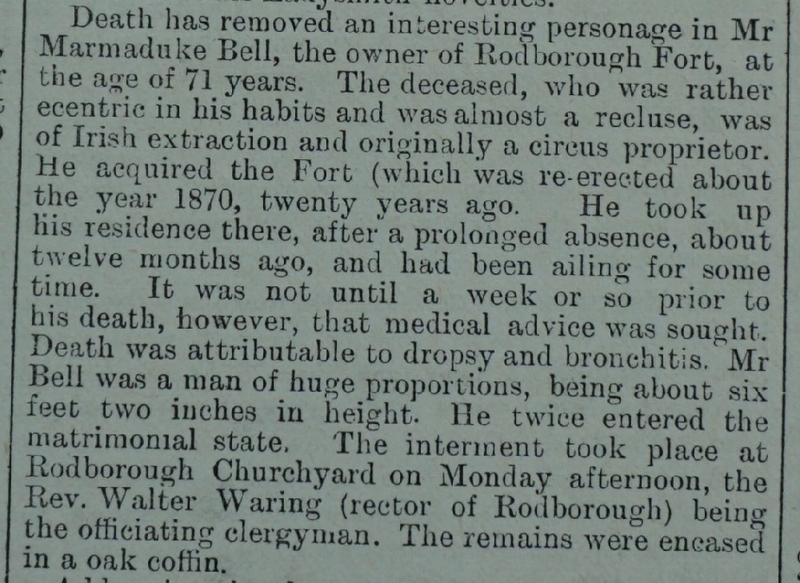 Death of Ellen Apperly, mother of Sir Afred Apperly, at Rodborough Court and interment at Rodborough Tabernacle. 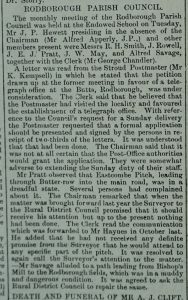 Update on the roads and Post Office – telegraph office not agreed. 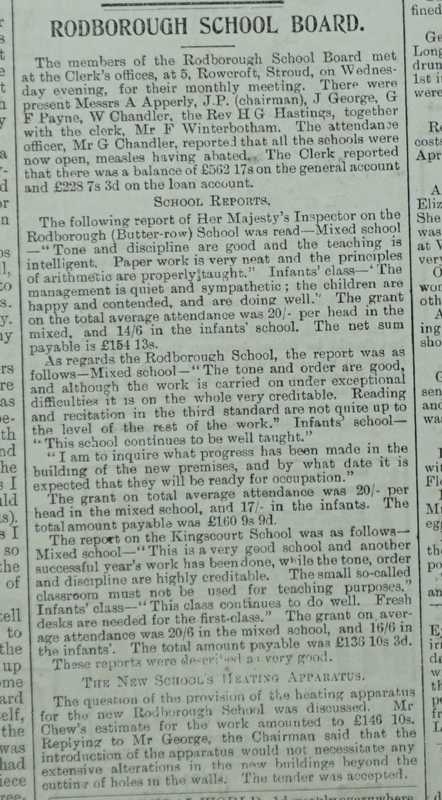 Heating for the new school – hot water v stoves – and could a woman manage it? 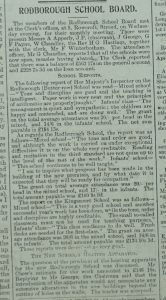 Inspector’s report on schools; Kingscourt, Butterrow and Rodborough (Endowed School) where work is carried on under exceptional difficulties. 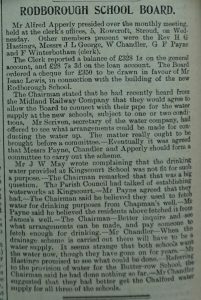 Rodborough’s new school was to have water supplied and surprise was expressed that Kingscourt and Butterrow School’s might want a supply too. 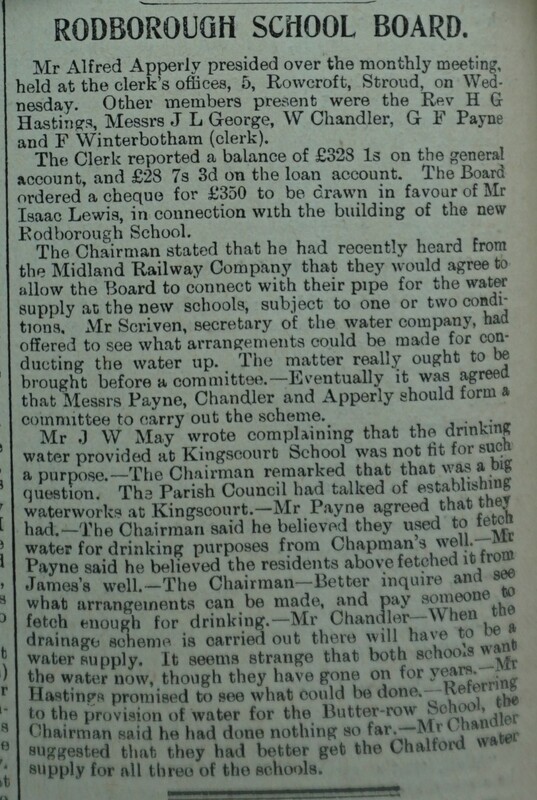 Kingscourt residents were obtaining water from Chapman’s and Payne’s Wells. 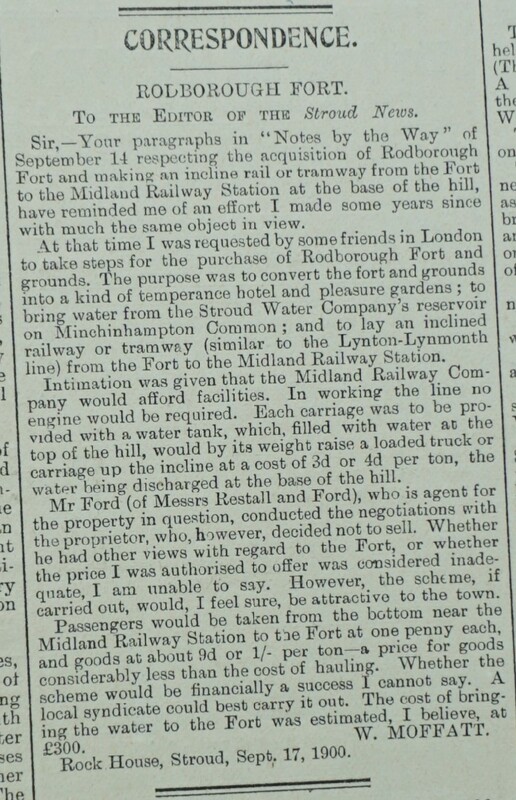 It was proposed that Rodborough Fort could be established as a spa with a hydralic lift! 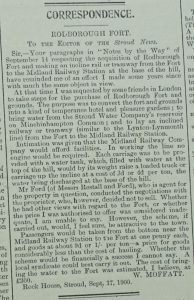 More thoughts on the Rodborough Fort railway – from the Midland Railway to the Fort for a penny and the facility to carry goods. 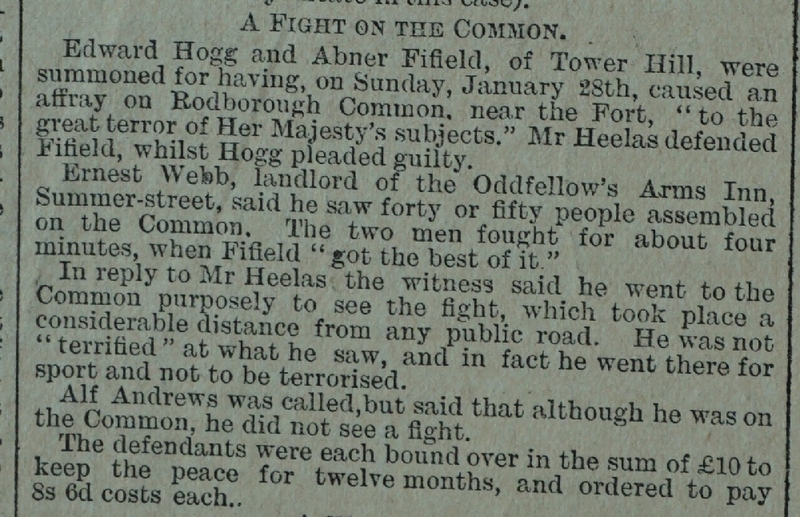 The Fort as a Temperence Hotel & pleasure grounds?